Over 50 artisans, featuring all handmade crafts & gift items. Maybe even a visit from the "Big Guy", himself! Formerly held at DeRubertis Party Center, this is our 5th year! Thank you, thank you, thank you to all of you that gave of your time, talents and treasures for this event! It was hugely successful because of you! We had a full house, booth-wise, and almost 780 paid entrances (779, to be exact). The tree and craft basket raffle brought in $1431. 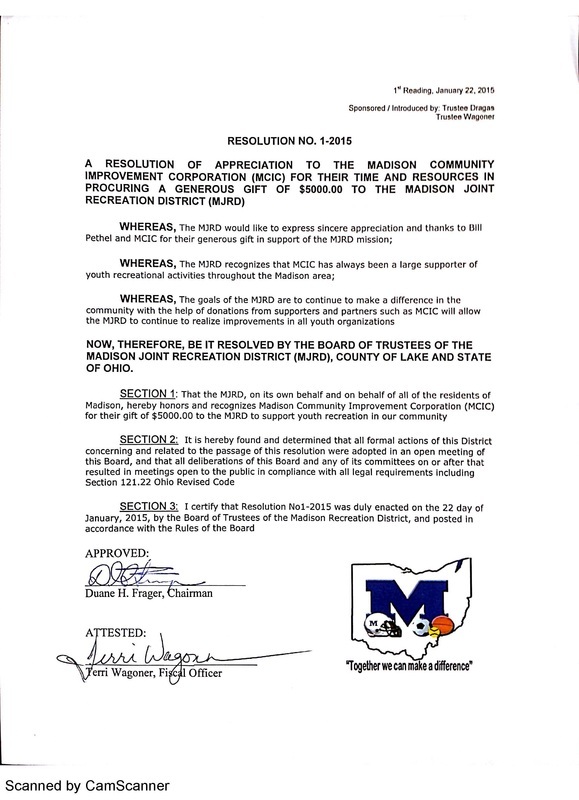 Have a fantastic Thanksgiving and hope to see you at the December 11th meeting. 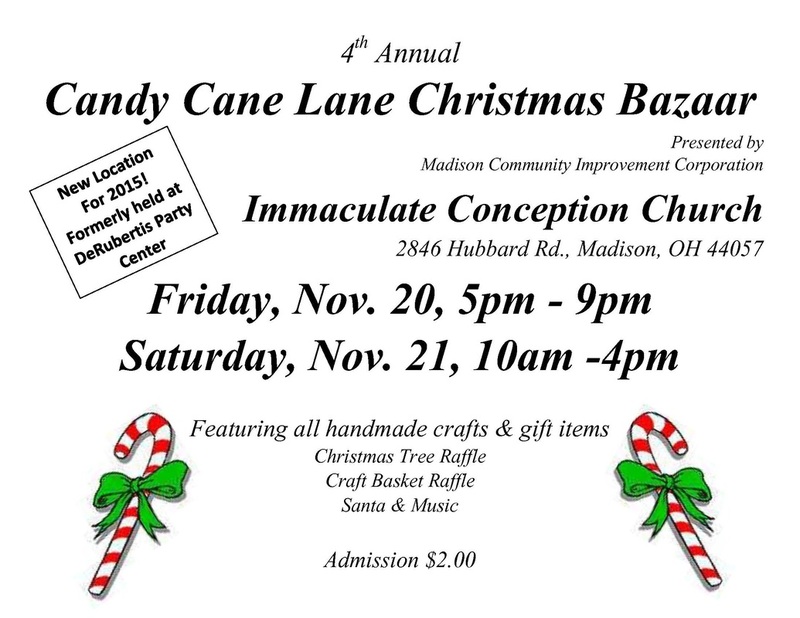 CANDY CANE LANE CHRISTMAS BAZAAR!! 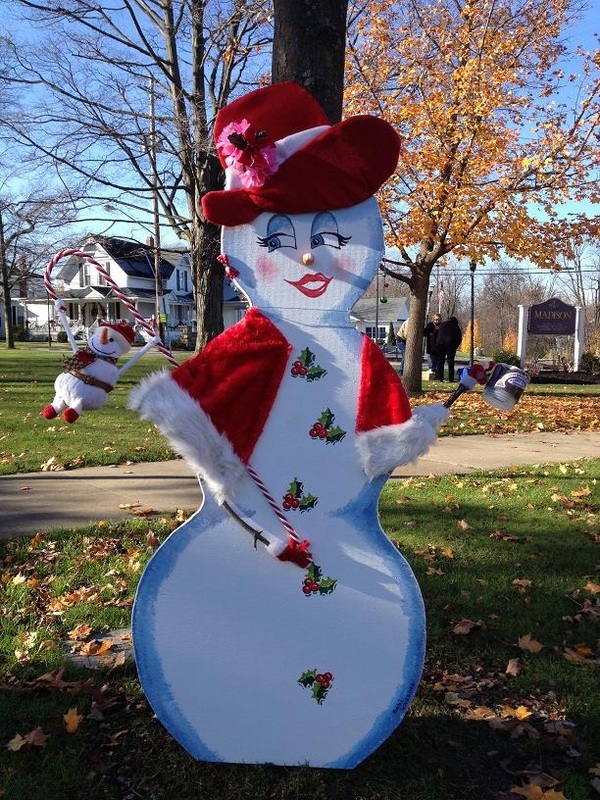 We had a blast last year dressing up the wood snow figures and displaying them around the Village. Be sure to contact us if you want to join in on the fun this year.